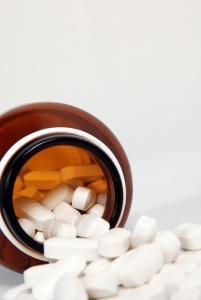 The war on prescription drug abuse has been effective in decreasing the availability of commonly abused pills such as oxycodone and other narcotics. But as an unintended consequence, heroin use in Maryland has actually been on the rise. More people are using heroin, and state officials are reporting a significant jump in the number of deaths attributed to heroin overdoses in 2012. In fact, in the first half of 2012 heroin related overdoses increased 41 percent, with 205 deaths reported from January to July of this year compared to 145 in 2011 over the same time frame. There could be a wide variety of reasons for the jump in overdoses, which according to state officials signals a definite jump in use of the drug, but the leading factor is likely a recent crackdown on pill mills. Pill mills have become a booming business over the past decade in dozens of states across the country. Most of the states affected lack actual legislation or strict medical board rules to control the amount of narcotics that are prescribed and purchased. Although there are thousands of legitimate pain clinics across the country with well trained and respected physicians, there are also some clinics who’s sole purpose is to rake in huge amounts of money with absolutely no motivation to care for their patients. These clinics are often owned by businessmen with no medical training, and sometimes employ doctors by the month. These doctors are been paid as much as $100,000 per month to simply write prescriptions all day, many times after speaking with their patients for less than 5 minutes. The prescriptions allow the patients to buy powerful narcotic painkillers such as oxycodone by the hundreds. Many of the patients are addicts themselves, and others simply use the pain clinics to obtain a cheap supply of the drugs to sell for a profit. It is not unreasonable for one person to walk out of a pill mill with a prescription for 300 oxycodone pills that sell for ten times more on the street than what it costs to buy in the pharmacy. The Maryland legislature fought back against the pill mill by enacting laws in 2011 that monitor the amount of narcotic prescriptions that each pharmacy fills. State and federal law enforcement has also raised their awareness of doctor shopping and fraudulent prescriptions. Cops have dedicated more resources to making arrests for these particular crimes, and most legitimate pain clinics and pharmacies are cooperating with the coordinated effort. As a result, narcotic painkillers, anti anxiety pills such as Xanax, and sleeping pills have become more difficult to obtain from Maryland pharmacies. One drawback of this successful campaign is that drug addicts and dealers are going back to using heroin as their drug of choice. Between 2007 and 2011 heroin use was at an all time low in terms of usage compared to other drugs. Heroin prices plummeted in response to the popularity of prescription narcotics , but now cheap heroin is flooding the streets, and pill availability is drying up. At one time it was only really present in urban areas such as Baltimore and Washington, but now heroin use and, consequently, overdoses are showing up in all suburban areas of the state. This trend certainly has state health officials concerned, but there has been no viable solution proposed to date. 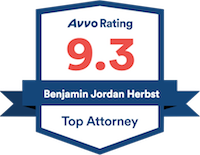 Benjamin Herbst is a Maryland drug lawyer who specializes in possession of heroin, pills, marijuana, and cocaine. Mr. Herbst also handles more serious CDS offenses such as distribution and trafficking. Contact The Herbst Firm for a free consultation about your case.